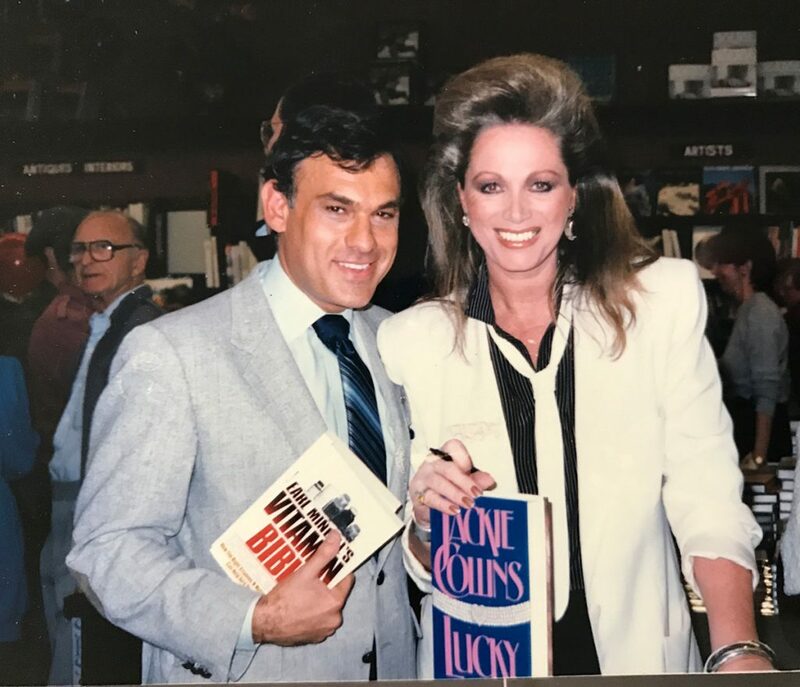 What a thrill to be at an autographing with Jackie Collins. I thought she had no idea who I was. I was wrong. She said to me that she keeps my book “Vitamin Bible” on her bedside table. I told her any time she would like me to come over and read her some of it, all she had to do is ask. Just kidding! !